We’ve found great deals at 502 hotels! The Grand Noble Hotel Xi'an (Xi'an Huangcheng Haomen Jiudian) is located close to the Bell and Drum Towers and to the Bell Tower Station on Metro Line 2. 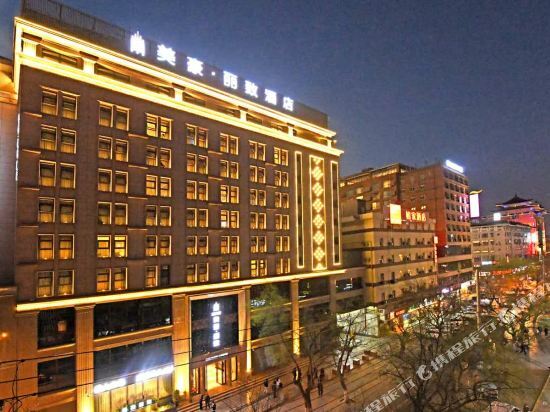 The hotel is also in convenient proximity to Xi'an Railway Station. Guestrooms and suites offer amenities including mini-friges, complimentary broadband Internet access and a butler service. This Xi'an features a non-smoking floor, rooms equipped for the disabled and rooms with outdoor balconies. This hotel offers spaces for business and social events including a Grand Ballroom, a VIP Room, several function halls and a meeting room. International cuisine is available in the hotel's open-kitchen restaurant, while light meals, snacks and drinks can be found at the hotel's café, deli and lobby bar. This hotel also houses a fitness center, a massage center, chess rooms, a spa and a beauty salon. Designed in Tang Dynasty architectural style, guests can appreciate the Bell Tower, Drum Tower, and Musical Fountain from their rooms. Various accommodation options are offered, including standard rooms, deluxe rooms, deluxe sightseeing rooms, business suites, and imperial suites. The Chinese restaurant serves authentic Chinese cuisine and offers a buffet. A multifunctional hall, teahouse, sauna center, chess & cards room, and beauty salon are all available. Other services include babysitting, laundry and ironing, high-speed Internet, newspapers, and VOD system. Guests reserving rooms in executive floors are able to enjoy free afternoon tea and express check-in and check-out service. 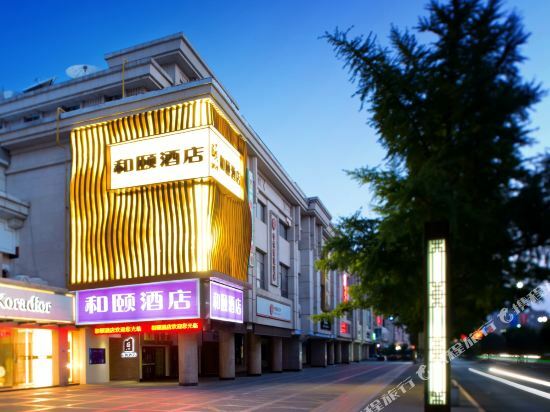 The Days Inn City Centre Xi'an (Xi'an Zhongxin Daisi Jiudian) is located on North Street just five minutes from the Bell Tower, one of Xi'an's top attractions. Xi'an Xianyang International Airport is only 30 minutes' drive from the hotel, making it a convenient choice for those wanting to all that Xi'an has to offer. The Hanguang Joy Hotel (Hanguang Junyue Jiudian) is a business hotel located in the center section of Xibei San Lu. The Hui Nationality Snack Street is south of the hotel and the Bell Tower is just to the east. This Xi'an hotel offers standard rooms, business rooms and executive rooms, 127 in total, which offer spectacular views of the northern part of the City's Ming-era Wall. 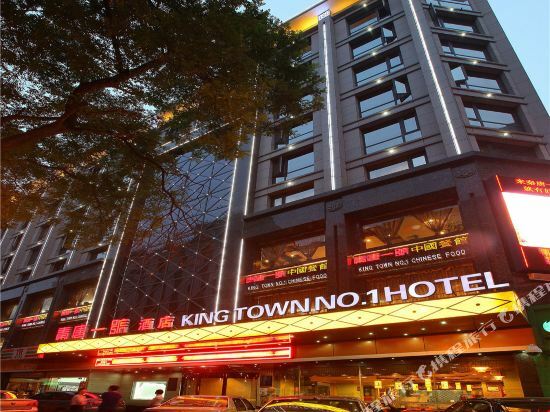 Located in downtown Xi’an, the King Town No.1 Hotel (Qintang Yihao Jiudian) enjoys close proximity to Luomashi pedestrian street and bustling South Street. The Xi'an Bell Tower is also located nearby. Guests can enjoy Sichuan and Chongqing cuisines at the on-site Chinese restaurant. The hotel also offers free parking and Wi-Fi access in public areas. 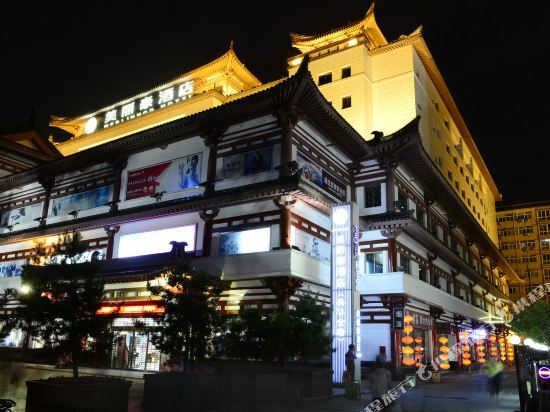 The&nbsp;Rongmin&nbsp;International&nbsp;Hotel&nbsp;(Xi'an&nbsp;Rongmin&nbsp;Guoji&nbsp;Fandian)&nbsp;is&nbsp;a&nbsp;deluxe&nbsp;hotel&nbsp;close&nbsp;to&nbsp;the&nbsp;&lt;a&nbsp;target="_blank"&nbsp;href="http://www.chinatravel.net/china-attractions/xi-an-bell-tower-and-drum-tower/introduction-132.html"&gt;Xi'an&nbsp;Drum&nbsp;Tower&lt;/a&gt;&nbsp;and&nbsp;the&nbsp;vibrant&nbsp;downtown&nbsp;area.&nbsp;It&nbsp;is&nbsp;5.5&nbsp;km&nbsp;(about&nbsp;15-minutes'&nbsp;taxi&nbsp;ride)&nbsp;from&nbsp;the&nbsp;railway&nbsp;station.&nbsp;With&nbsp;easy&nbsp;access&nbsp;to&nbsp;local&nbsp;transportation&nbsp;networks&nbsp;and&nbsp;&lt;a&nbsp;target="_blank"&nbsp;href="http://www.chinatravel.net/china-attractions/Xi-an/searchresult-73.html"&gt;Xi'an&nbsp;tourist&nbsp;attractions&lt;/a&gt;,&nbsp;this&nbsp;is&nbsp;a&nbsp;good&nbsp;option&nbsp;for&nbsp;leisure&nbsp;and&nbsp;business&nbsp;travel. <br> <br>Rooms&nbsp;in&nbsp;this&nbsp;&lt;a&nbsp;target="_blank"&nbsp;href="http://www.chinatravel.net/china-destinations/xi-an/cityintroduction-73.html"&gt;Xi'an&lt;/a&gt;&nbsp;hotel&nbsp;come&nbsp;with&nbsp;various&nbsp;amenities&nbsp;including&nbsp;hair&nbsp;dryers,&nbsp;coffee/tea&nbsp;makers,&nbsp;mini&nbsp;bars&nbsp;and&nbsp;refrigerators. <br> <br>Guests&nbsp;can&nbsp;make&nbsp;use&nbsp;of&nbsp;currency&nbsp;exchange,&nbsp;luggage&nbsp;storage&nbsp;and&nbsp;postal&nbsp;services&nbsp;available&nbsp;in&nbsp;the&nbsp;hotel. The hotel boasts 154 guestrooms, total 13 layers, non-smoking floor , good view, special night scene. The room is comfortable, both accommodation and service standards are excellent. The Chinese Restaurant features 5 dining rooms & 300 seats, specializing in delicious Cantonese cuisine、Sichuan & Shaanxi cuisine. The 120 seats Conference Room make good venues for meetings. The banquet hall is available for weddings, social events and parties. The finest sports and leisure facilities can be found on the fourth floor in the hotel. The hotel offers underground garage parking and free WIFI access in public areas. The&nbsp;Ramada&nbsp;Hotel&nbsp;Bell&nbsp;Tower&nbsp;(Xi'an&nbsp;Huameida&nbsp;Zhaorui&nbsp;Jiudian)&nbsp;is&nbsp;located&nbsp;in&nbsp;the&nbsp;downtown&nbsp;area,&nbsp;close&nbsp;to&nbsp;the&nbsp;popular&nbsp;sight&nbsp;Bell&nbsp;Tower&nbsp;and&nbsp;a&nbsp;local&nbsp;Muslim&nbsp;food&nbsp;street. 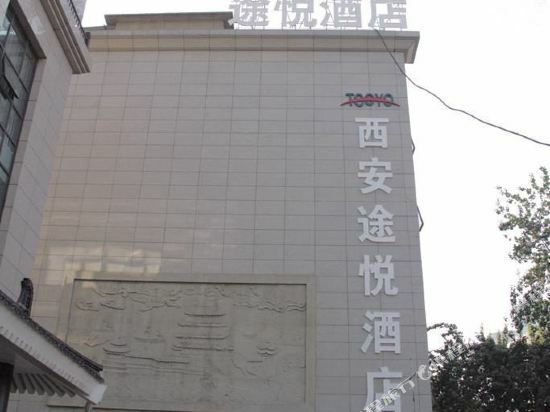 <br> <br>Rooms&nbsp;at&nbsp;this&nbsp;Xi'an&nbsp;hotel&nbsp;are&nbsp;comfortable&nbsp;and&nbsp;come&nbsp;with&nbsp;all&nbsp;the&nbsp;standard&nbsp;amenities. <br> <br>Chinese&nbsp;and&nbsp;Western&nbsp;cuisine&nbsp;is&nbsp;available,&nbsp;as&nbsp;well&nbsp;as,&nbsp;barbeque. <br> <br>Those&nbsp;traveling&nbsp;the&nbsp;city&nbsp;on&nbsp;business&nbsp;will&nbsp;find&nbsp;conference&nbsp;rooms&nbsp;of&nbsp;various&nbsp;sizes&nbsp;on&nbsp;the&nbsp;premises. <br> <br>Those&nbsp;looking&nbsp;for&nbsp;a&nbsp;bit&nbsp;of&nbsp;relaxation&nbsp;can&nbsp;utilize&nbsp;the&nbsp;chess/poker&nbsp;rooms,&nbsp;spa,&nbsp;fitness&nbsp;rooms,&nbsp;sing&nbsp;karaoke&nbsp;or&nbsp;hit&nbsp;up&nbsp;the&nbsp;lobby&nbsp;bar. The Grand Noble Hotel Xi'an (Xi'an Huangcheng Haomen Jiudian) is located close to the Bell and Drum Towers and to the Bell Tower Station on Metro Line 2. 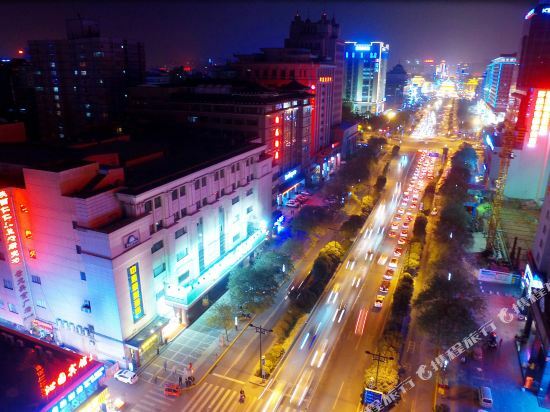 The hotel is also in convenient proximity to Xi'an Railway Station. <br><br>Guestrooms and suites offer amenities including mini-friges, complimentary broadband Internet access and a butler service. This Xi'an features a non-smoking floor, rooms equipped for the disabled and rooms with outdoor balconies.<br><br>This hotel offers spaces for business and social events including a Grand Ballroom, a VIP Room, several function halls and a meeting room.<br><br>International cuisine is available in the hotel's open-kitchen restaurant, while light meals, snacks and drinks can be found at the hotel's café, deli and lobby bar.<br><br>This hotel also houses a fitness center, a massage center, chess rooms, a spa and a beauty salon. Yitel, on bell tower south street, Xi'an, locate at the super prosperous CBD which is in the center of Xi'an city. South street is one of the four most famous streets of ancient capital. Cause of its great development of history and rich humanities atmosphere. With the bustling street extend to all directions, it's wide and straight what makes people feel wonderful and relax. Yitel is near at hand of the biggest bell tower and the biggest drum-tower in China. The scenery panoramic view of the city are in your eyes when you get the top. Merlinhod&nbsp;(Meihua&nbsp;Jinhua&nbsp;Guoji&nbsp;Jiudian)&nbsp;is&nbsp;a&nbsp;newly&nbsp;constructed&nbsp;business&nbsp;hotel&nbsp;in&nbsp;Xi'an.&nbsp;The&nbsp;hotel&nbsp;is&nbsp;located&nbsp;in&nbsp;the&nbsp;business&nbsp;area&nbsp;of&nbsp;Xidajie,&nbsp;only&nbsp;a&nbsp;two-minute&nbsp;from&nbsp;the&nbsp;Bell&nbsp;Tower.&nbsp; <br> <br>Designed&nbsp;in&nbsp;Tang&nbsp;Dynasty&nbsp;architectural&nbsp;style,&nbsp;guests&nbsp;can&nbsp;appreciate&nbsp;the&nbsp;Bell&nbsp;Tower,&nbsp;Drum&nbsp;Tower,&nbsp;and&nbsp;Musical&nbsp;Fountain&nbsp;from&nbsp;their&nbsp;rooms.&nbsp;Various&nbsp;accommodation&nbsp;options&nbsp;are&nbsp;offered,&nbsp;including&nbsp;standard&nbsp;rooms,&nbsp;deluxe&nbsp;rooms,&nbsp;deluxe&nbsp;sightseeing&nbsp;rooms,&nbsp;business&nbsp;suites,&nbsp;and&nbsp;imperial&nbsp;suites.&nbsp; <br> <br>The&nbsp;Chinese&nbsp;restaurant&nbsp;serves&nbsp;authentic&nbsp;Chinese&nbsp;cuisine&nbsp;and&nbsp;offers&nbsp;a&nbsp;buffet.&nbsp;A&nbsp;multifunctional&nbsp;hall,&nbsp;teahouse,&nbsp;sauna&nbsp;center,&nbsp;chess&nbsp;&&nbsp;cards&nbsp;room,&nbsp;and&nbsp;beauty&nbsp;salon&nbsp;are&nbsp;all&nbsp;available.&nbsp;Other&nbsp;services&nbsp;include&nbsp;babysitting,&nbsp;laundry&nbsp;and&nbsp;ironing,&nbsp;high-speed&nbsp;Internet,&nbsp;newspapers,&nbsp;and&nbsp;VOD&nbsp;system.&nbsp;Guests&nbsp;reserving&nbsp;rooms&nbsp;in&nbsp;executive&nbsp;floors&nbsp;are&nbsp;able&nbsp;to&nbsp;enjoy&nbsp;free&nbsp;afternoon&nbsp;tea&nbsp;and&nbsp;express&nbsp;check-in&nbsp;and&nbsp;check-out&nbsp;service. 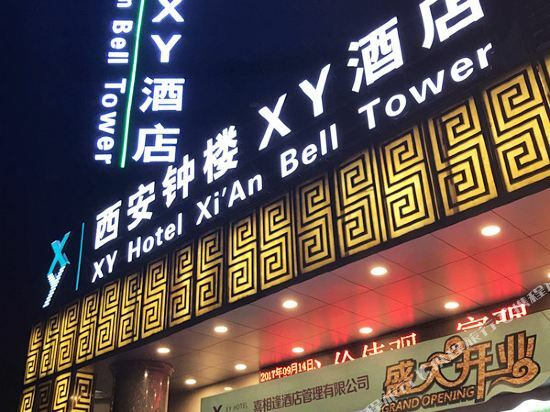 The&nbsp;Bell&nbsp;Tower&nbsp;Hotel&nbsp;(Zhonglou&nbsp;Fandian)&nbsp;lays&nbsp;claim&nbsp;to&nbsp;one&nbsp;of&nbsp;the&nbsp;best&nbsp;locations&nbsp;in&nbsp;Xi'an.&nbsp;Just&nbsp;across&nbsp;from&nbsp;the&nbsp;famed&nbsp;Bell&nbsp;Tower&nbsp;and&nbsp;within&nbsp;easy&nbsp;walking&nbsp;distance&nbsp;of&nbsp;the&nbsp;Xi'an&nbsp;City&nbsp;Walls,&nbsp;plenty&nbsp;of&nbsp;restaurants,&nbsp;food&nbsp;vendors&nbsp;and&nbsp;shops,&nbsp;this&nbsp;is&nbsp;a&nbsp;great&nbsp;place&nbsp;to&nbsp;stay&nbsp;for&nbsp;tourists. <br> <br> <br> <br>Rooms&nbsp;are&nbsp;spacious,&nbsp;clean&nbsp;and&nbsp;comfortable,&nbsp;offering&nbsp;excellent&nbsp;views&nbsp;from&nbsp;each&nbsp;side.&nbsp; <br> <br> <br> <br>Both&nbsp;western&nbsp;and&nbsp;traditional&nbsp;Chinese&nbsp;dining&nbsp;is&nbsp;offered&nbsp;at&nbsp;this&nbsp;Xi'an&nbsp;Hotel. <br> <br> <br> <br>After&nbsp;a&nbsp;busy&nbsp;day&nbsp;guests&nbsp;can&nbsp;relax&nbsp;in&nbsp;the&nbsp;sauna&nbsp;or&nbsp;enjoy&nbsp;a&nbsp;massage&nbsp;in&nbsp;our&nbsp;luxury&nbsp;spa. 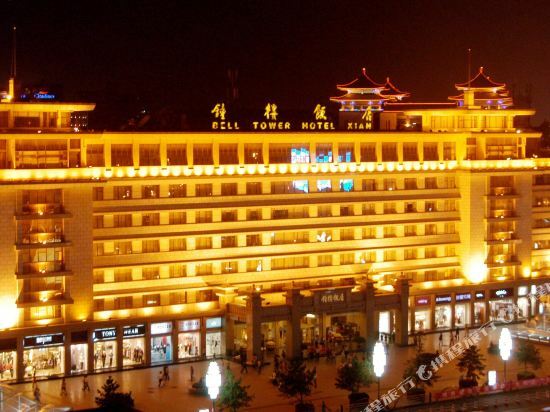 <br> <br> <br> <br>This&nbsp;hotel's&nbsp;location&nbsp;makes&nbsp;the&nbsp;Bell&nbsp;Tower&nbsp;Hotel&nbsp;an&nbsp;outstanding&nbsp;choice&nbsp;for&nbsp;visitors&nbsp;wanting&nbsp;to&nbsp;be&nbsp;right&nbsp;in&nbsp;the&nbsp;middle&nbsp;of&nbsp;the&nbsp;action&nbsp;in&nbsp;China's&nbsp;most&nbsp;historic&nbsp;city. 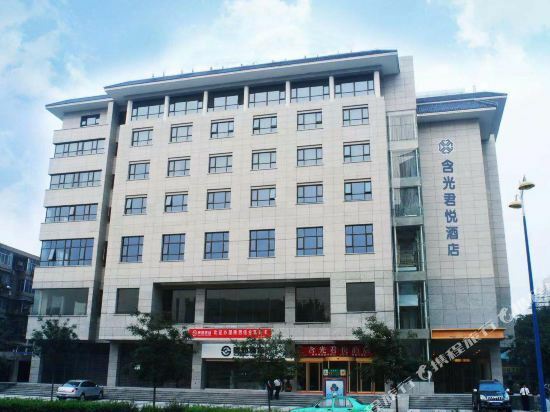 Shaanxi LiGing Hotel is located in the center of Xi’an, as a quasi three-star tourist hotel, with clean environment and convenient transportation. The rooms are covered by luxurious rooms, standard rooms and single rooms, altogether over 90 suites. For the standard room, it possesses an area of 26 m2. All the rooms here are all connect to high-speed free wifi. 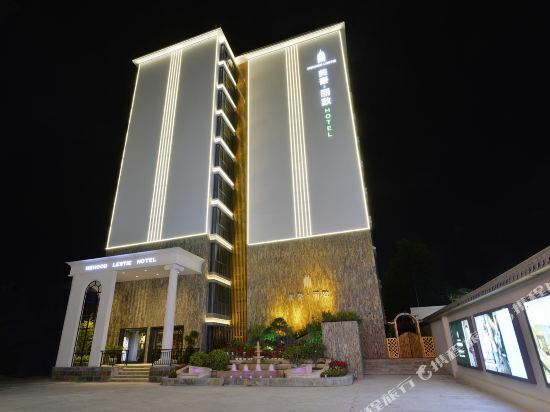 In terms of the standard service facility, the hotel is equipped by the Conference Room, Business Center, Airline ticket booking Service, Tourism Consulting Service etc. The transportation is quite convenient, 10-minute drive to railway station. The airport bus is just right in front of the hotel. Hope you can enjoy your stay here. 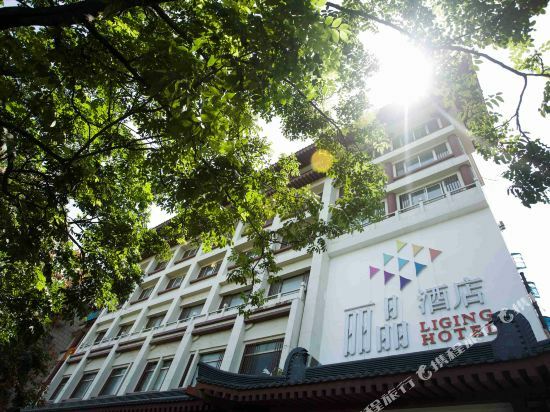 The Yongning Palace Hotel (Yongninggong Dajiudian) is a business hotel situated on South Street (Nan Dajie), Xi'an, next to the south gate of the Ancient Wall. 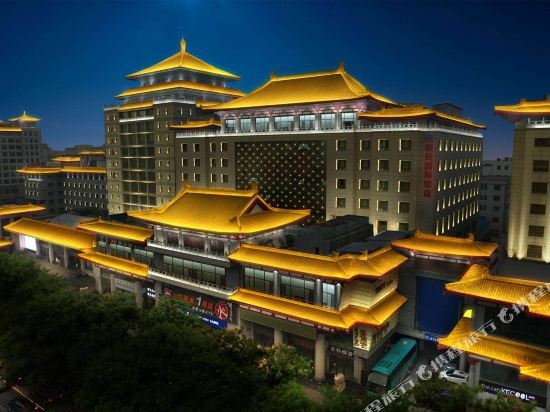 <br><br>A Xi'an landmark, this hotel's ancient Ming and Qing dynasty design is regal and elegant. Guests can choose from various well-appointed rooms and suites. <br><br>The Hong Kong restaurant offers various upscale dishes and seafood. The coutyard-style teahouse on the sixth floor provides more than 40 kinds of tea, royal tea shows and 17 private rooms. All kinds of recreational facilities are available here in this Xi'an hotel as well. The Huiyuan Jinjiang International Hotel (Huiyuan Jinjiang Guoji Jiudian) is located close to the Bell Tower and Xi'an's Muslim street. This hotel also enjoys proximity to Metro Lines 1 and 2.<br><br>On offer are a variety of accommodations ranging from single rooms and deluxe suites. 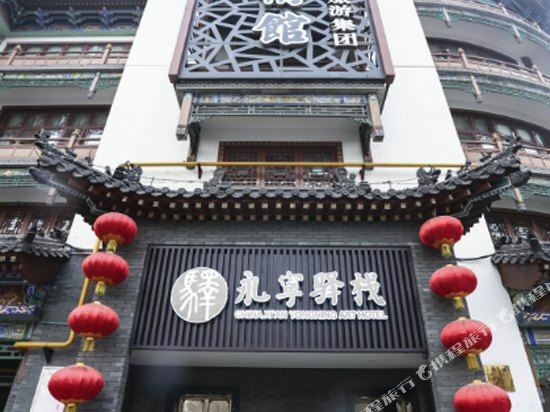 Xi'an Century Landscape Hotel (Xi'an Shiji Shanshui Jiudian) is a superior apartment hotel located on North Street within the ancient city of Xi'an, within easy reach of Drum and Bell Towers and Beilin Museum. This hotel features a business center, laundry services, as well as flight ticket booking and tourism services. Guests can also check out the on-site cafe if they need a drink and want to relax. 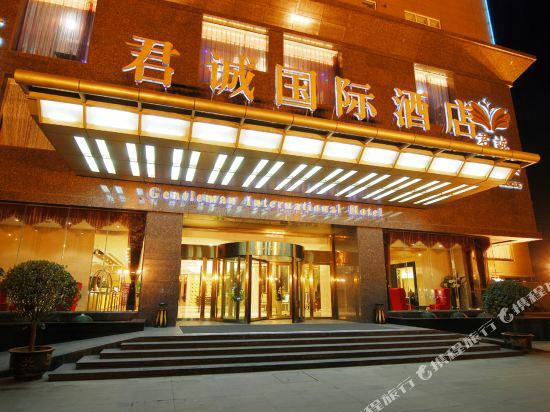 The Grand Dynasty Culture Hotel is ideally located in the city center near several major Xi'an attractions. All 464 guestrooms in this Xi' an hotel feature modern amenities including large screen TV's, mini-bars and 24-hour room service. The hotel's restaurant serves a variety of Asian and Western delicacies, and a bar/lounge caters for after dinner drinks. Conference rooms at the business center are equipped with audiovisual facilities as well as all necessary amenities for an efficient office environment away from home. In terms of recreation, the hotel offers a fully-equipped gymnasium and a tennis court for active guests, along with an indoor swimming pool, steam room and sauna for guests seeking something a little more relaxed. The hotel's restaurant serves a variety of Asian and Western delicacies, and a bar/lounge caters for after dinner drinks. The&nbsp;Sunda&nbsp;Gentleman&nbsp;International&nbsp;Hotel&nbsp;(Xi'an&nbsp;Juncheng&nbsp;Guoji&nbsp;Jiudian)&nbsp;is&nbsp;a&nbsp;deluxe&nbsp;business&nbsp;hotel&nbsp;located&nbsp;in&nbsp;Lianhu&nbsp;District,&nbsp;downtown&nbsp;Xi'an. 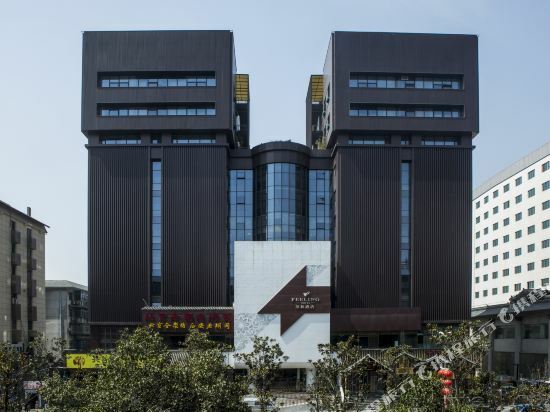 <br> <br>This&nbsp;Xi'an&nbsp;hotel&nbsp;has&nbsp;various&nbsp;deluxe&nbsp;rooms&nbsp;equipped&nbsp;with&nbsp;LCD&nbsp;satellite&nbsp;TVs,&nbsp;mini&nbsp;bars,&nbsp;and&nbsp;safes.&nbsp;Dining&nbsp;options&nbsp;include&nbsp;restaurants&nbsp;serving&nbsp;Chinese&nbsp;and&nbsp;Western&nbsp;cuisines.&nbsp; <br> <br>In&nbsp;terms&nbsp;of&nbsp;recreational&nbsp;facilities,&nbsp;guests&nbsp;have&nbsp;the&nbsp;choice&nbsp;of&nbsp;a&nbsp;gym,&nbsp;sauna&nbsp;and&nbsp;beauty&nbsp;salon. 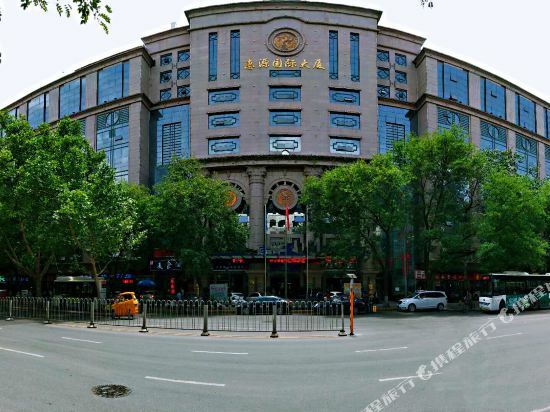 Located at the intersection of East Street and Jiefang Road, the Soluxe Qinda Hotel Xi'an (Xi'an Yangguang Qinda Jiudian) is in the city's busiest commercial center. This location puts guests within easy reach of Xi'an Railway Station and <b>Xianyang International Airport</b>.<br><br>On offer are Superior Rooms fitted with domestic and international telephony, central air conditioning, cable TVs, broadband Internet access and mini bars.<br><br>Intimate dining can be arranged in one of the 11 private dining rooms available. For larger groups, there is a banquet hall. Guests can enjoy authentic Cantonese and Sichuan cuisine. Dishes from China's north Shaanxi region and local snacks are also served.<br><br>Guests who enjoy a little friendly competition can practice their hands at billiards and ping-pong. There are also games rooms for chess, poker and other games. Northwest of new hotel (xi 'an bell tower shop) is located in xi 'an city with a long history in the ancient city wall, excellent geographical location, department of the people's livelihood is adjacent to the east street, walking to the city centre, landmark tower and century ginwa, hui street and large shopping spots and food street, etc,such as modern hotel facilities, is your business talks, the best place to leisure tourism. 43 kilometers, is apart from the hotel xi 'an xianyang international airport only 50 minutes from the center of xi 'an airport, from the hotel to qin shihuang terracotta warriors, mount li, huaqing pool and so on the famous scenic spot of only 50 minutes by car, our concierge can easily arrange tour for you. Elegant taste, perfect service is the characteristic of new northwest hotel. The hotel has elegant environment, beautiful interior, advanced facilities and complete functions. Central air conditioning, 24 hours hot water, cable TV, domestic and foreign live telephone, automatic security fire system is you enjoy comfortable and fast personalized service. If you want to stay in the best hotel in Xi'an, China, please come to Trip.com for a custom trip. 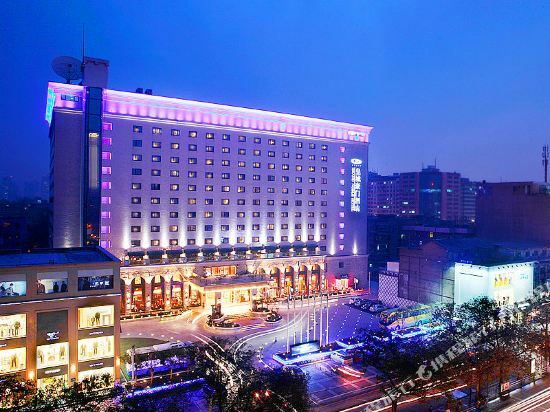 Staying in exclusive Xi'an Zhonggulou Square (downtown) hotel Trip.com offers, you can fully relax and enjoy the stay in Xi'an and around Xi'an. 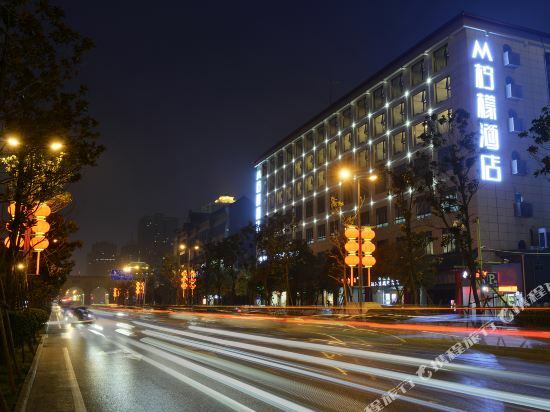 All these Xi'an Zhonggulou Square (downtown) hotels lead in the industry in aspects of environment and recreation facilities, providing the best hotel service in Xi'an. 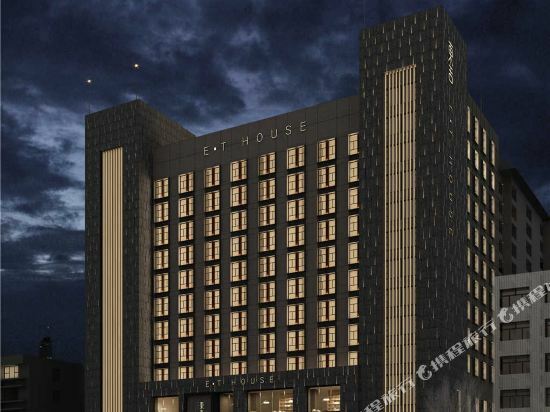 To ensure that you can find the latest Zhonggulou Square (downtown) hotel in Xi'an, the latest hotel price as well as hotel facilities and indoor facilities information will be offered. 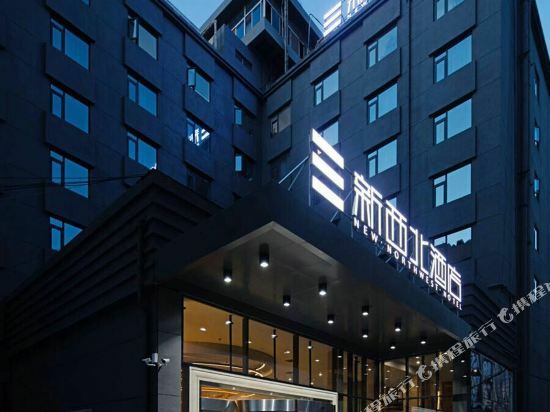 In the meantime, detailed photos of Xi'an Zhonggulou Square (downtown) hotel will be displayed, making you know quickly whether hotel’s interior environment meets your taste. 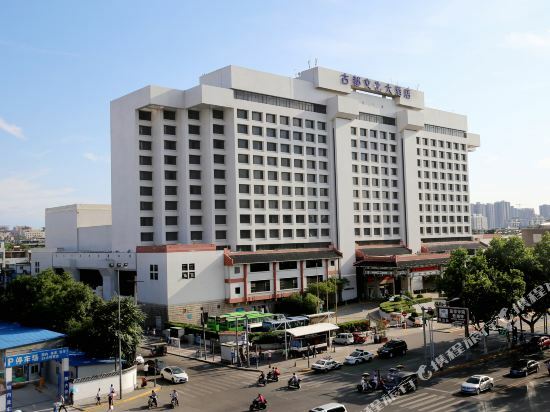 Besides, you can know specific location and reviews on Xi'an Zhonggulou Square (downtown) hotel from millions of users. 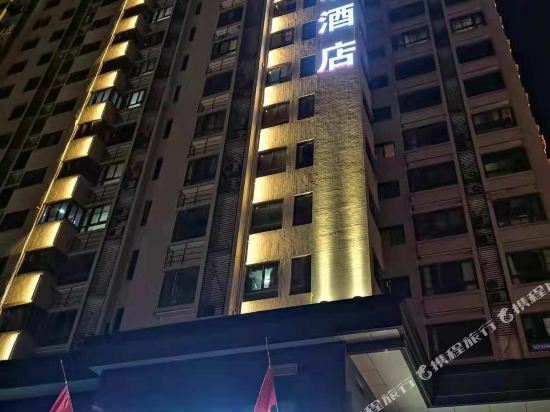 If you want a nice room with limited budget, please filter through price and distance to get an appropriate Xi'an Zhonggulou Square (downtown) hotel. 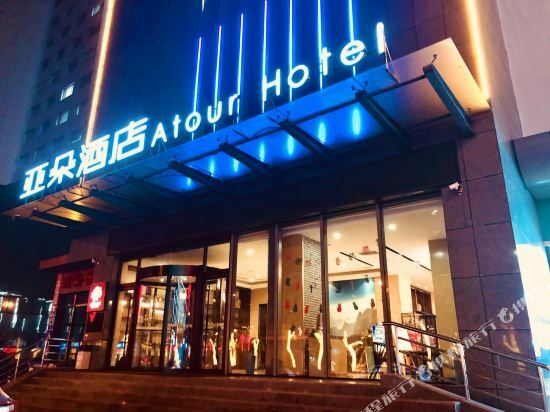 To ensure you can experience the best Xi'an Zhonggulou Square (downtown) hotel, users and we give a comprehensive rating on hotel, which gives useful help. 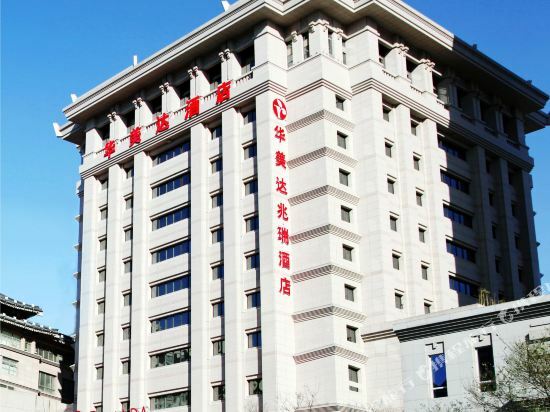 Believe it or not, as the biggest online travel service company, we have the best service assurance and perfect users’ experience to meet your requirements in different aspects, no matter it’s Xi'an hotel or Xi'an Zhonggulou Square (downtown) hotel. Xi'an hotel information & deal: Check out room rates, photos, a map and reviews of hotels in Xi'an and find the best deals on Xi'an hotels. Trip.com offers big savings on online reservations for Xi'an accommodation. Book Xi'an vacation packages and Xi'an tours with huge discounts on Trip.com!